This H2 Hummer Trailer Hitch Cover is hand painted with 3-D carved logo. 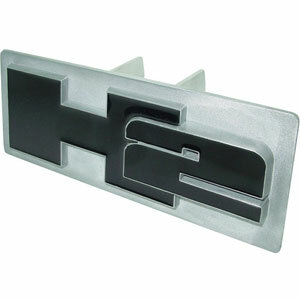 H2 Logo Hitch Cover has hardware included. Fits standard hitches. Enameled on durable, rust-proof zinc. Fits Class II and Class III hitches. Check out our extensive line of automotive accessories! 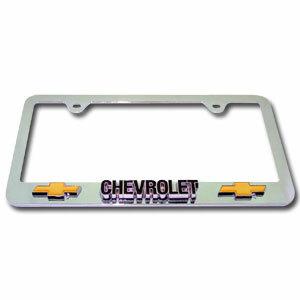 These Chevorlet license plate tag frames are made of durable zinc and are chrome plated. They feature finely carved 3D detail. Check out our extensive line of automotive merchandise! 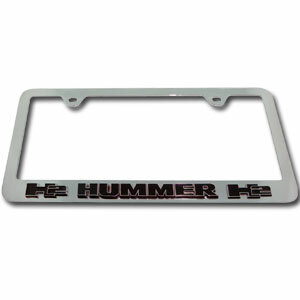 These H2 Hummer license plate tag frames are made of durable zinc and are chrome plated. They feature finely carved 3D detail. Check out our extensive line of automotive merchandise!